Last year, Mets fans got to experience the fun of seeing one of their own honored by the rest of baseball. 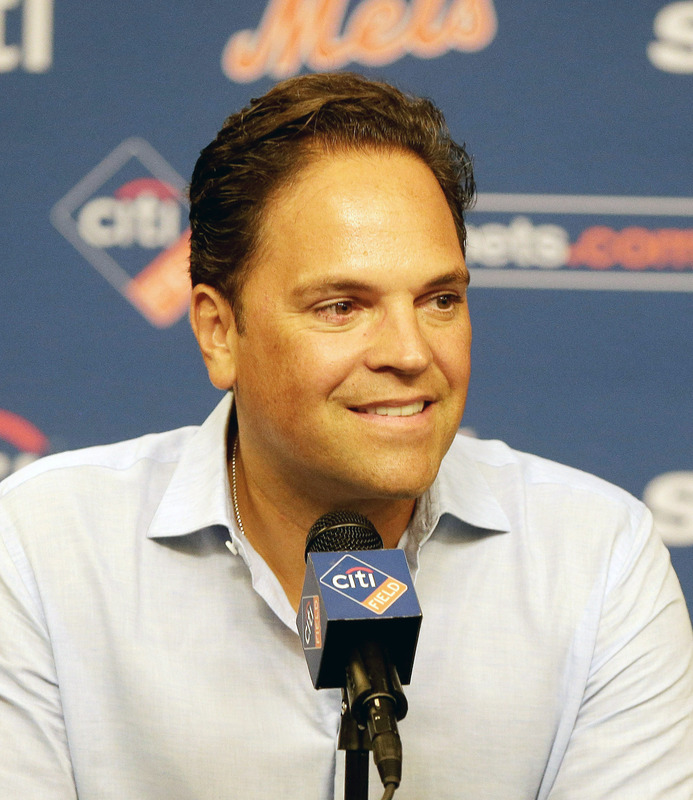 Mike Piazza was the first person to be elected to the Hall of Fame with a Mets cap since Tom Seaver in 1992. The team retired his number as part of the festivities, and there was much rejoicing. Hopefully everyone enjoyed it because it will be quite a while before another Met is honored in Cooperstown. This year’s ballot and numerous others down the road are devoid of obvious candidates from the franchise. The gap extends beyond players who enter the Hall of Fame in a Mets hat, too. There are essentially zero likely upcoming Hall of Famers who played even one game for the Mets. These Hall of Famers range from beloved by Mets fans (Carter) to reviled (Alomar), but they’re all Hall of Famers regardless. There is no one like them who figures to be remotely close to election over the next decade. The 2017 ballot had three holdovers who were modest candidates, but do not currently stand anywhere close to inevitable Hall of Fame induction. Kent is the leading home run hitter among second basemen in big-league history and spent most of the first few seasons of his career with the Mets from 1992 through 1996 until he was dealt for Carlos Baerga. In four years on the ballots though, he has never topped the mere 17 percent mark. Wagner was a top-flight reliever who signed a four-year, $43 million deal with the Mets prior to the 2006 season, and he is probably the most popular Met in this group. He did have some awesome years closing for the Mets until falling victim to Tommy John surgery late in the ’08 campaign. His Cooperstown case is fascinating in comparison to the much more acclaimed Trevor Hoffman, since his rate stats are much better and he chose to retire early rather than being forced out by ineffectiveness like Hoffman. Unfortunately, most BBWAA writers don’t see it that way—he only received 10.5% of the vote in 2016 and 10.2% in 2017. Sheffield’s connection to the Mets is the loosest of the three, but the slugger did spend the last season of his 22-year career in Queens, smashing dinger number 500 in the fourth-ever game at Citi Field. If there weren’t any PED connections to Sheffield, he would probably be doing a lot better given the 509 career homers and .292/.393/.514 triple slash. He has absolutely been penalized and has never even approached Kent’s low voting levels during his three years on the ballot. There is no getting around the fact that it’s depressing that Santana is almost Hall of Fame-eligible already at the mere age of 37. He is still attempting to come back and pitch in the majors for the first time since 2012; all power to him! The odds are that he will indeed hit the Hall of Fame ballot next year, and he is the Mets’ only legitimate candidate aside from the carryovers. The problem is that Santana just didn’t last long enough to receive serious Hall of Fame consideration, though as expert Jay Jaffe has argued, he has an intriguing case based on peak. After all, he won two Cy Young Awards, contended for three others (including 2008 with the Mets), and finished with a better career ERA (3.20, 74 ERA-) than southpaw luminaries Steve Carlton and Randy Johnson. Jaffe did ultimately decide that it wasn’t an overly strong case, particularly with superior starters like Curt Schilling and Mike Mussina already struggling for induction. Maybe a Veterans Committee To Be Named Later will look at Santana more favorably, but either way, it’s going to take some time. Unless you’re a devoted member of the Jason Bay family, there are zero new Met names of note ahead on the 2019 BBWAA ballot. So the “best new chance” turns to the Veterans Committee, which according to the Adam Darowski will have their “Today’s Game” committee meet in December 2018. The top Mets there will be Cone and Saberhagen, two pitchers who saw their greatest fame outside Queens with championship teams in the Bronx and Kansas City, respectively. Both went one-and-done on their initial Hall of Fame efforts in the late-2000s, but Jaffe recently outlined how they both deserved a better fate since advanced metrics really like them. It’s hard to envision a Veterans Committee truly appreciating them though since they have elected precisely zero living players since Bill Mazeroski in 2001. Alas. It’s going to be a long, long time before another Met has a serious immediate shot Cooperstown. ESPN’s David Schoenfeld predicted that the next one to be enshrined will be Carlos Beltran in 2029, and that’s not a bad guess at all. His career is ending soon, and while he’s a better candidate than everyone else mentioned so far (and David Wright), it will likely take him a few years to climb the BBWAA voting ladder. He should get there eventually though. The unfortunate reality is that Beltran will probably be the first Met of any kind elected since Piazza. Until then, Met fans will have to settle for Chipper Jones pointing at his son Shea in the crowd next year, I guess. Bleak. Let the long wait begin. Abreu’s averages, slashes, and so on are not a comp for Vlad, so that’s that. It’s worth noting that Carter wanted desperately to go in as a Met. I think Keith might fare well with the VC if they can put behind the cocaine use next time his name can be tossed in.